The Ballad of Peckham Rye. First edition of this satirical gem from the “master of malice and mayhem” (The New York Times). Octavo, original cloth. Boldly signed by Muriel Spark on the title page. Very good in a very good dust jacket with some closed tears to the extremities. Jacket design by Victor Reinganum. Muriel Spark's 1960 comic novel follows Dougal Douglas, who is hired by a company to poke into the private lives of its employees. Douglas turns out to be a demonical researcher who butts in so much he begins to influence his subjects actions rather than just observe them. One of the funniest books I have ever read . . . far and away our best woman novelist" (Penelope Mortimer). First edition of this classic novel by Spark. Octavo, original cloth. 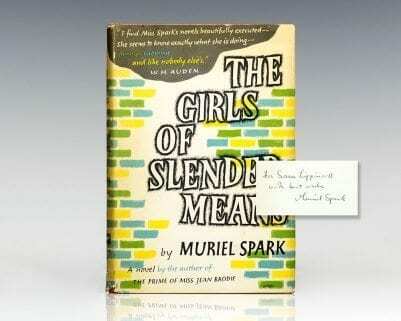 Signed by Muriel Spark on the title page. Fine in a near fine dust jacket with light toning. New York: Alfred A. Knopf, 1963. 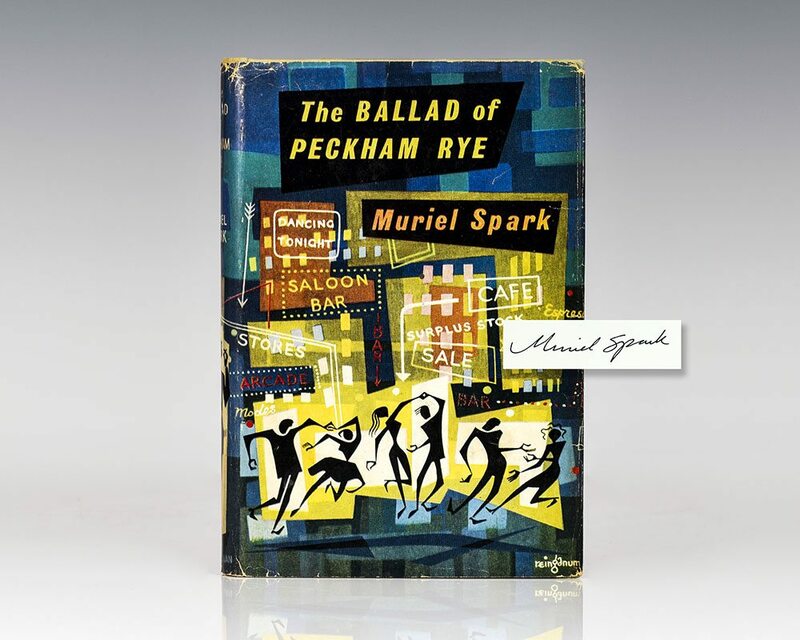 First edition of Spark’s novella, which follows female inhabitants of London’s May of Teak Club in the summer of 1945. Octavo, original cloth. Inscribed by the author on the front free endpaper, “For Sara Lippincott with best wishes Muriel Spark.” The recipient was Sarah Lippincott, who was on the staff at The New Yorker. Spark’s biographer, Martin Stannard describes Lippincott as a sharp young woman who sometimes acted as Spark’s secretary or helper. Near fine in a very good dust jacket with light rubbing. Jacket design by George Salter. The Girls of Slender Means. 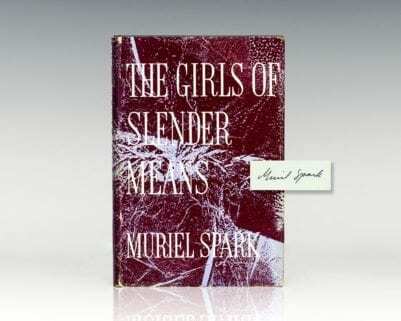 First edition of Spark’s novella, which follows female inhabitants of London’s May of Teak Club in the summer of 1945. Octavo, original cloth. Signed by Muriel Spark on the title page. Very good in a very good dust jacket with light rubbing. Jacket design by H. Cowdell. 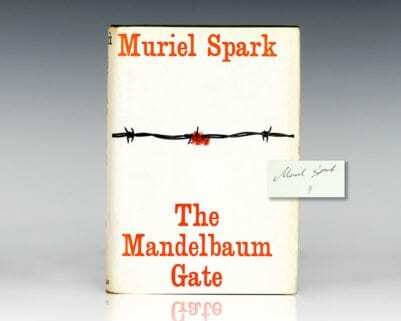 First edition of Muriel Sparks’ eighth and best-loved novel. Octavo, original cloth. 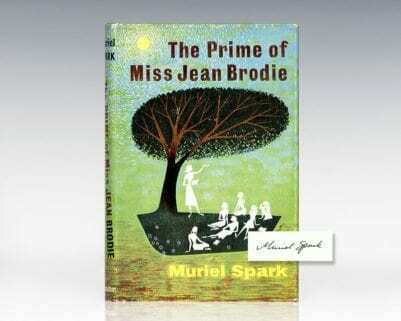 Signed by Muriel Spark on the title page. Fine in a near fine dust jacket with a touch or rubbing. Jacket design by Victor Reinganum. Uncommon signed.